The Solutions Developer is responsible for solutions development and support. This role also includes electronic channels integration and support, process automation, and development of customer centric software solutions that fit an evolving technology landscape which is key to ensure that the company retains its position as the number one Pension Fund Administrator with the largest market share by delivering on its Unique Selling Proposition. Provide Root Cause Analysis (RCA) on issues. Provide feedback on issues tracked by Change Advisory Board (CAB). Ensures stakeholder satisfaction with project deliverables. 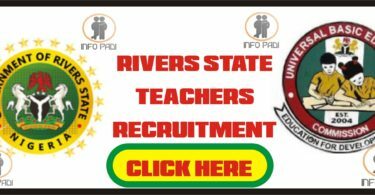 Advanced /Professional Degree or Professional Qualification in ICT is Required. The specification and design of information systems, their components and architecture to meet defined business needs. The planning, design, management, execution and reporting of tests, using appropriate testing tools and techniques and conforming to agreed standards, to ensure that new and amended systems, together with any interfaces, perform as specified. If you are interested in applying for this job and you meet the stipulated requirements. 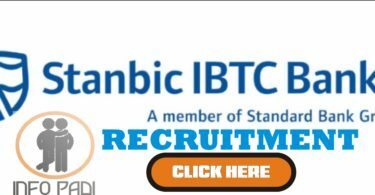 Click on STANBIC IBTC Solutions Developer – SIPML APPLICATION LINK to apply.